Built into the XYO Network’s cryptoeconomicssits ground-breaking tools for incentivizing both XYO Miners (crypto-location miners) and Token Holders (with Token Rebates), which encourage healthy liquidity, low transaction fees and long-term value. In order to award those who purchase XYO Tokens during our current Token Sale period, all tokens that are not sold after the Token Generation Event concludes will be burned; thus the tokens one purchases during the sale becomes a finite, scarce resource, which benefits those who purchase tokens during the sale. 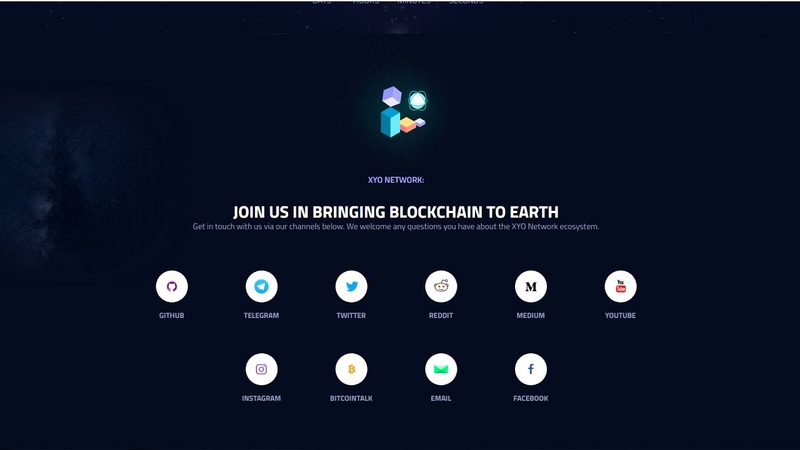 During the Token Generation Event, the XYO Token uses the Ethereum platform’s ERC20 token standard. To ensure a secure purchase of the XYO Tokens, we have retained a third-party firm to test audit our smart contract to comply with best practices. Development of moving the internal XY location network platform to an open blockchain implementation begins: the XY Oracle Network is born. The XYO Token is created and represents the official currency to be used throughout the entire XYO Network. The Public Token Sale is scheduled to launch on March 20, 2018 and to conclude on May 20, 2018. XY will complete the development of the XY Oracle Testnet and begin rolling out its location-focused blockchain protocol to its Sentinel devices. XY will issue a complete roll out of the XY Oracle Network to XY its Sentinel beacons and start tests with new Sentinel partners (specifically IoT companies and mobile app developers). Launch the low-cost XY Sticker product which enables eCommerce retailers to track every single one of their products in realtime. Grow coverage of XY Sentinels (location data providers and verifiers) as well as other components of the XY Oracle Network (Bridges, Archivists, Diviners). Formalize business partnerships with enterprises and larger entities, which can benefit from a decentralized, trustless location oracle (e.g. logistics systems, supply chain companies, auditors, eCommerce businesses and countless other niches).